Pensacola-based tech company looks to hire and train veterans. On February 29, 2016, Veterans Florida awarded DigiPro Media LLC., a Pensacola-based technology company, a FL VETS Business Training Grant to offset the training costs associated with hiring new veterans. The FL Vets Business Training Grant Program provides matching training grants of up to $8000 per veterans employee trained. DigiPro Media specializes in multiple forms of digital media, including proprietary software development, web design, IT support, eCommerce, processing, target marketing and fundraising. David Glassman, Owner and Partner at DigiPro Media, is a U.S. Marine Corps veteran himself and knows veterans are a valuable asset to his company. “Veterans of military service frequently have exceptional professional traits such as discipline, promptness, and the desire to excel and work as part of a team,” says Glassman. 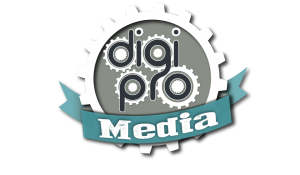 “DigiPro Media knows veterans have the leadership skills, drive, and ability to learn quickly. Combining these traits with customized skill training through this grant allows DigiPro to recruit and develop phenomenal veteran talent. Smart companies like DigiPro know hiring veterans is not only the right thing to do but it is also good for the bottom line,” said Bobby Carbonell, Veterans Florida’s Executive Director. Headquartered in Pensacola, Florida, DigiPro Media, LLC. has spent the past 6 years in development of proprietary programming that combines a vast multitude of business solutions and marketing tools into a single, scalable platform. The platform’s comprehensive nature and ease of use have led to its mass adoption in multiple industry sectors. This has required DigiPro to expand in all areas as well as to increase its technical know-how and leadership capabilities in all of its departments, including Software Coding, Website Production, Graphics Design, Content Development, Target Marketing and Sales.